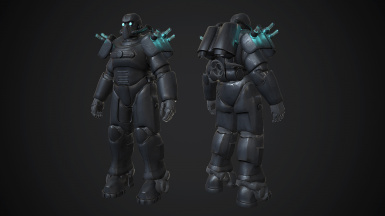 I love how when you add the power conductors to the arms it kind of looks like Liberty Prime. Looks like Squidwards house LMAO! 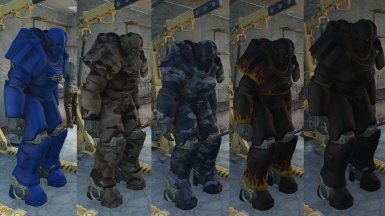 thank you for the fantastic job, I customiezd a little the texture(as seen in pictures, still a wip for personnal use), and now that will be my favorite power armor in the game ! Can someone tell me how to search item codes for this? 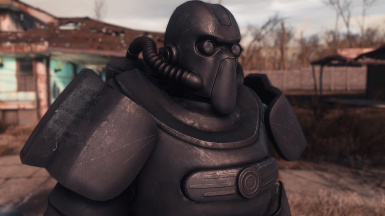 The standard "help vault tec power armor 4" is doing jack squat. Vault-tec/vaulttec, no combination of search terms is working. 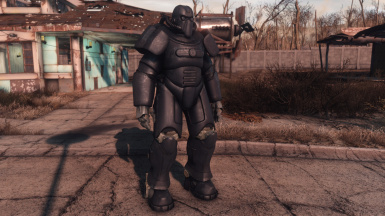 I love power armor mods, but I hate it when you can't craft them. I'd circumvent this with cheat terminal, but it won't dupe the right arm for some reason. I just did "help vault 4 armo" and they were all right there at the end. I still can't find the armor codes for the tesla coil parts, though. The helmet didn't spawn in vault 111 for me. Are there any solutions/ console codes to fix this? I've tried this. It doesn't work. Nothing comes up. Nice! I like it! Excellent job! Any chance of an optional file for different helmets? Do you think you can make an x-02 PA because the unoctium one is very buggy.